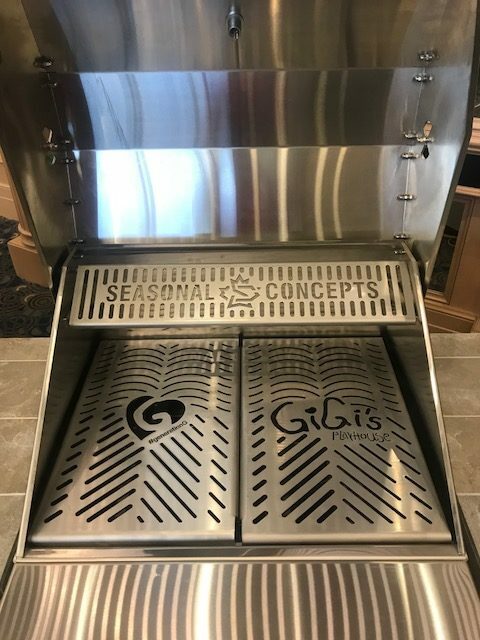 This is the all polished stainless steel – high end grill that you can customize to be whatever you want. You can build it into a patio kitchen, make it on a permanent pedestal in your yard, or have a cabinet style. 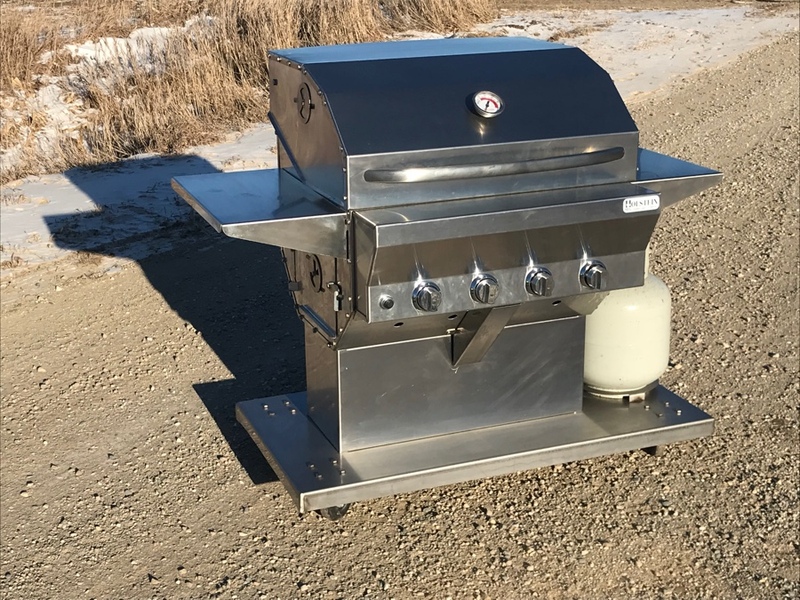 To even customize it more you can have all gas, or any combination of gas and charcoal, or all charcoal. 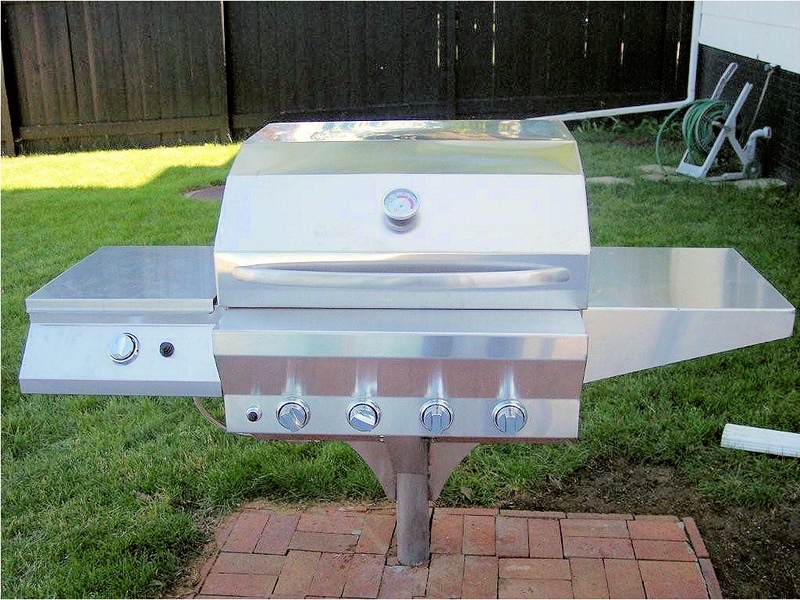 It is the grill made of polished stainless steel that anyone would be proud to have in their landscape. 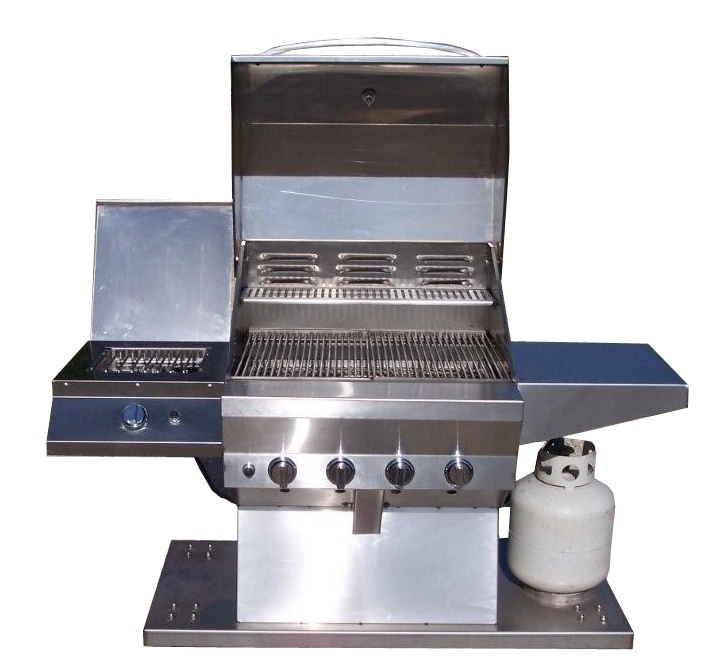 Pitfire Grill Pedestal Model, with optional side table and side burner. 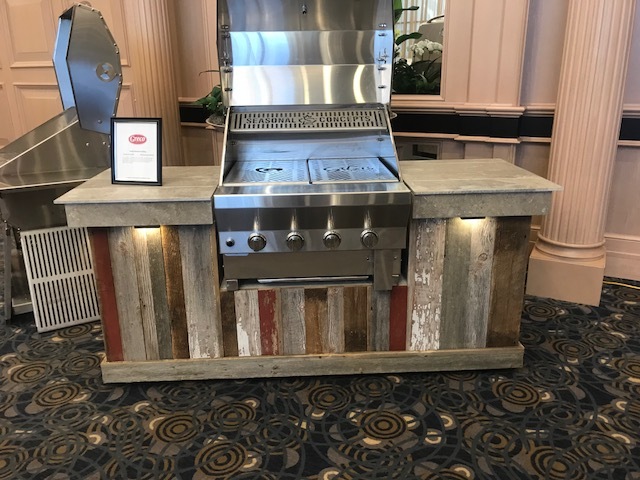 Pitfire Grill Cabinet Model, with optional side tables. Pitfire All Charcoal Model, with optional side tables. 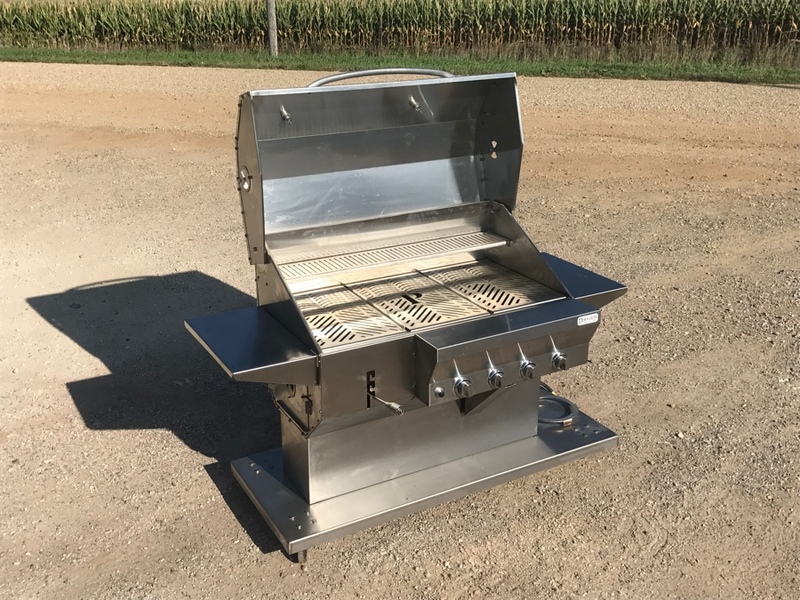 Pitfire Grill Cabinet Model, with optional side table and side burner. 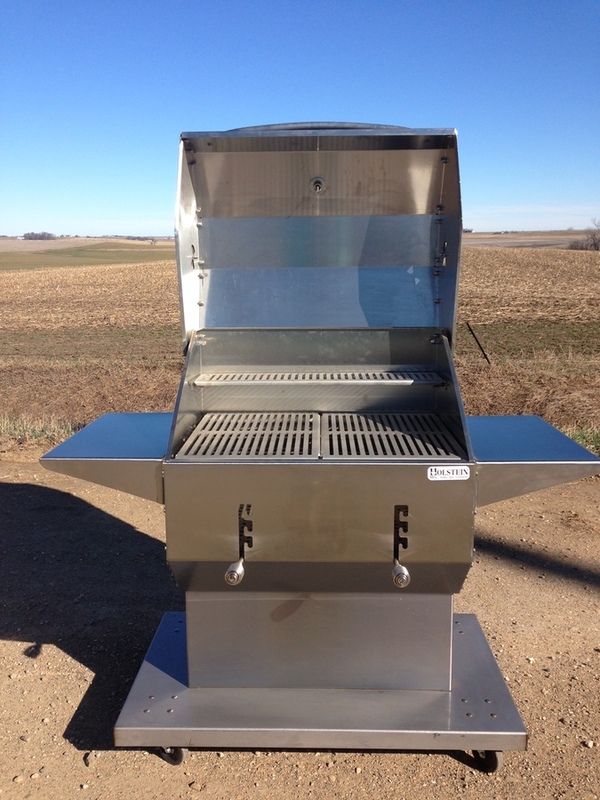 Pitfire Custom Cabinet Model - 1/3 Charcoal and 2/3 Gas with optional side tables and custom laser cut grates.